On 17 and 18 February 2017, the President of the International Criminal Court (ICC), Judge Silvia Fernández visited Barcelona, Spain, to participate in two events held by the Federation of European Bars and the Barcelona Bar Association. On 18 February 2017, the President delivered a guest speech at the Commemoration of the 25th anniversary of the Federation of European Bars (FBE). Congratulating the FBE and its members on their anniversary, the President underlined the important role of lawyers at the ICC. “The representation of suspects, accused, victims and certain witnesses before the Court is ensured by lawyers," Judge Fernández said. "Lawyers are key components of fair proceedings, and there can be no successful ICC without fair trials,” she added. During her visit, the President also participated together with the Minister of Justice of Spain, Mr. Rafael Català, and other high representatives of Spanish and Catalonian authorities in the annual formal session of the Barcelona Bar Association. In her address, the President recalled that “the continued support of States and of the world's legal communities is vital to consolidate the gains made in the field of international criminal law over the last twenty years.” She also invited Spanish lawyers, in particular women, who are currently underrepresented, to join the list of counsel for defence and victims at the International Criminal Court. Judge Silvia Fernández de Gurmendi (Argentina) has been the ICC President since 11 March 2015 and was elected for a term of three years. The ICC is the first permanent international criminal court established to help end impunity for the perpetrators of the most serious crimes of concern to the international community, namely: genocide, war crimes and crimes against humanity. احد ردود جهلاء السلفية لاستاذة شمائل ! رأي من سخروا من زيارة البشير السابقة للامارات..
من نعم الله سبحانه و تعالى علينا ... !! 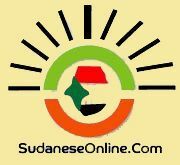 فى شأن إسلامية العالم لسنة 2015: سودان المشروع الحضارى ضمن آخر خمس دول، وهولندا الأولى.